Greetings from Ward 43! Ainslie land once, no more. It is truly hard for constituents to understand why Councillor, or anti-councillor, as he is now called, Ainslie, is spending so much on advertising his activities, pre-election mode. Flyer after flyer. How much has he spent, and is it legal? Would he be quick to chastise the Mayor for these activities if they had occurred? Oh we do recall his good friend, and former boss, and current Mayoral candidate, Mr David Soknacki at city hall recently, whacking at the Mayor’s office for possibly being in election mode? Calling the kettle something? Maybe Soknacki didn’t examine his good friend’s activities much. Mr. Ainslie has hardly endeared himself to his constituents lately. Baby like antics, petulance and arrogance appear to have overtaken the once more sedate persona. 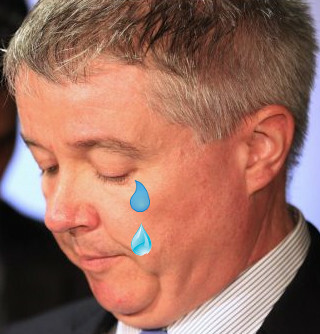 Remember Mr. Ainslie’s big pout after not getting Budget Chief? Toronto remembers this well. It didn’t take rocket science to figure out the big “Hate On” for the Mayor. Then, of course, things went from bad to worse. Toronto Star attacks, very personal in nature, ugly, and not mindful of his own Driving Under the Influence suspension. Then the anti-subway vote. Ainslie was the only East End councillor to vote against his constituents, and indeed most of Toronto, hungry for up to date speedy and warm transportation. According to one local, this vote was again a cry baby response to punish the Mayor for presumably overlooking the fine upstanding councillor, Ainslie, for budget chief. Here is a letter which pretty much tells it like it is for the east end sentiment on subways vs Light Rail. Soknacki doesn’t know what he is talking about. LRT’s do not have the same capacity as subways. LRT carry 40,000 people per day while subways carry about 200,000 people per day. LRT only serve as feeders to an already extensive subway system in London and Paris. Calgary is only the size of Scarborough, so LRT is adequate there because it is much smaller than Toronto. Toronto is too big for LRTs and needs high capacity transit. The corridor along Sheppard is not wide enough to build an LRT as well as maintain the current number of traffic lanes. Also – there is the speed. LRTs only go about 13-17 km/h depending on the time of the day, while subways are up to 60 km/h which is the same as cars on the road. Your assertion that LRTs are not the same as St. Clair Avenue’s is moot. The many LRTs and Rapid Transits included in the Metrolinx Big Move, are little different from the streetcars on St. Clair Avenue. They are all streetcars of somewhat different length than St. Clair’s, lower and air-conditioned. But with them running on their six inch high platforms they will be clogging the main roads just as badly or maybe worse than the ones on St. Clair Avenue West and they will take two lanes away from automobile traffic. Saying that these main roads will not be restricted to one lane anywhere is wrong. Just go measure the width of Sheppard Avenue East at the brand new Go Train underpass and show me how a frickin’ LRT can fit without restricting the road to one lane on the South side. And pretty well the same applies to the underpass at the CNR track between Midland and Brimley! It is clear that Soknacki Wanna Be is a cut from the cloth of Wanna Be Ainslie. Or vice versa. We also heard about the Mayor having to solve community issues in Ward 43 because their anti councillor neglected or in instances worked “against” them, with insolence and bitterness. So childish Ainslie could possibly benefit from more schooling, in the real world of polite behaviour and maybe the Mayor could show him how to respond properly to community concerns. How about next time a mature version of a councillor, and one that doesn’t backstab a very popular Mayor. You think?